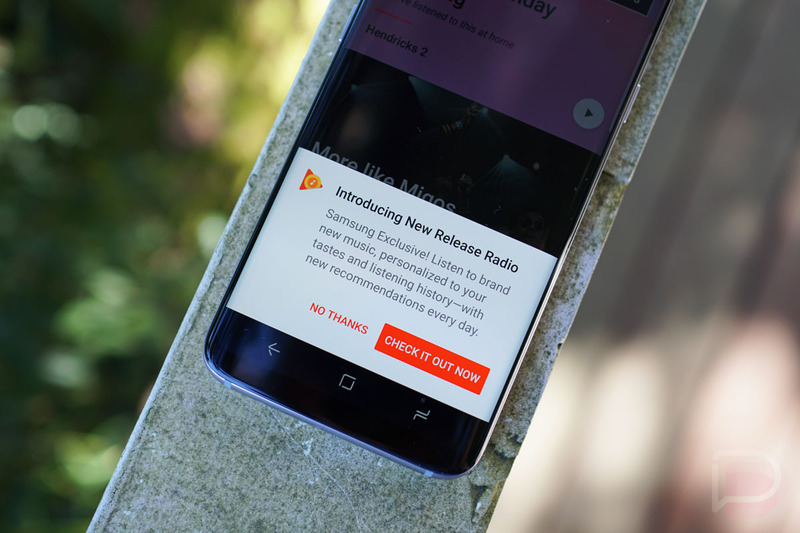 Over the weekend, owners of the Galaxy S8 and Galaxy S8+ (possibly other Samsung devices too) who use Google Play Music welcomed in a new exclusive feature. It’s a special radio station called “New Release Radio,” and yep, it plays a “personalized mix of newly released songs.” It’s also updated daily, according to the station listing. We’re not sure if this radio station will ever not be an exclusive to Samsung devices, but it seems likely that it’ll come to other users eventually. It’s not like it’s playing exclusive Samsung theme songs or something – it’s just playing top hits and updates regularly. I’d imagine Google just needs to uncheck a single box on the back-end to give everyone access. For now, though, Samsung owners with compatible devices can access the station by opening Google Play Music. You should get a prompt from the app to give a spin (see image above). I should point out that I was also able to pull up the station on my Google Pixel and in an incognito Chrome window too by clicking this direct link. Give it a shot even if you don’t own a Galaxy S8.